Gu Kailai, the wife of disgraced Chinese political leader Bo Xilai, has been charged with murder, state news agency Xinhua has reported. Gu Kailai and Zhang Xiaojun, employed at Bo Xilai’s home, were “recently” prosecuted by a Chinese court, Xinhua said, without giving further details. She has been questioned over the suspected murder of British businessman Neil Heywood. Neil Heywood was found dead in a hotel in Chongqing on 15 November 2011. 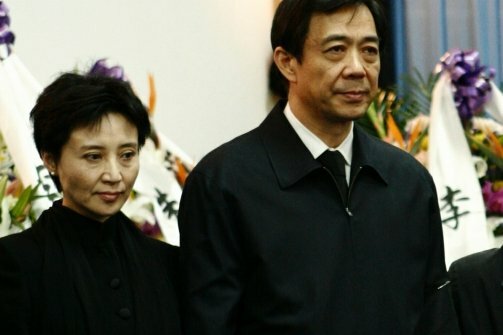 Local officials initially said he died of excessive drinking, but the government announced in April it was investigating Bo Xilai’s wife in connection with the case. The two are accused of poisoning Neil Heywood, Chinese media report. Bo Xilai, the former high-flying leader of the south-western Chinese mega-city of Chongqing, was sacked in March and is under investigation for allegedly flouting Communist Party rules. Bo Xilai’s downfall was triggered when his police chief, Wang Lijun, fled to the US consulate, reportedly to seek asylum after falling out with Bo over his investigation into the death of Neil Heywood.